Need a pick-me-up? Let the citrus, clean scent of lemon bring summer to your senses any time of the year. Smells great and good value! Smells great. I prefer using these refills than buying another plastic bottle every month. I love the Watkins line. 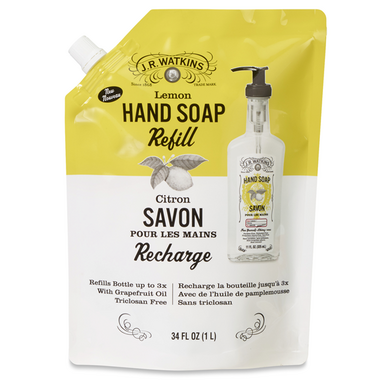 This hand soap smells amazing!